HUGE REDUCTION! With 5 bedrooms, 4.5 Baths and specular space inside and out, this one-of-a-kind might be your kind! Upon entry, you find an elegant entry leading to a huge formal living room/study area just off an equipped eat-in kitchen with breakfast nook. Just off the kitchen find an enormous family room and oversized two car garage with a handicap ramp. Additionally on the main level is a master suite fit for a king and queen with walk-in closet, garden tub with separate shower and vanity. An additional bedroom and bath and dining room accented with hardwood flooring finish the main level. A finished basement covered in porcelain custom flooring find additional space for entertaining with a custom kitchen complete with granite countertops. An additional full bath round out the basement space. 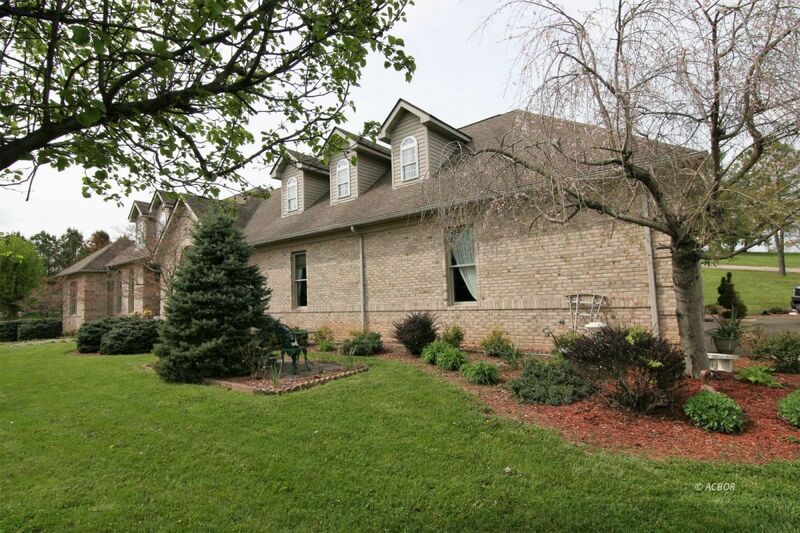 The second level offers two additional bedrooms, family room and a full bath An oversized detached garage, garden area, and private pond complete this amazing find all minutes from Hospital, SR 35 and downtown.